Point-and-click adventure games are experiencing a renaissance at the moment, spurred on in no small part by the ride of touch-based mobile platforms that make a natural fit with the games' simple interfaces. 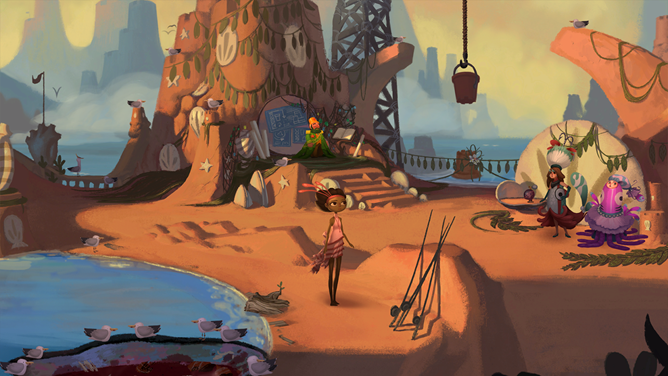 Surely no single adventure game has created more buzz in the last few years than Broken Age, the crowdfunded return to form for Tim Schafer and his team at Double Fine Productions. 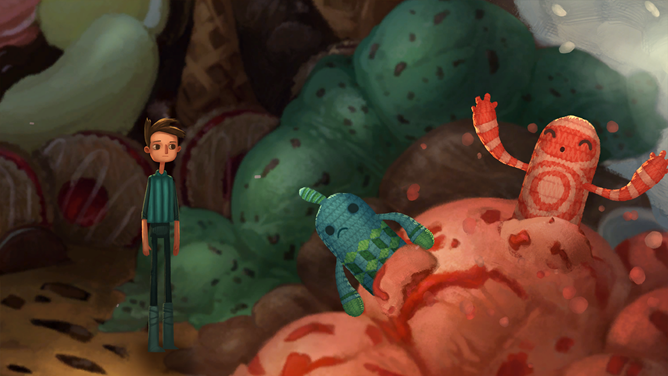 Today Act 1 of Broken Age is available on the Play Store for ten bucks. The game follows a split narrative: you are alternately in charge of Vella, a girl destined to be sacrificed by her fantasy village, and Shay, a boy trapped on a spaceship controlled by an overbearing artificial intelligence. 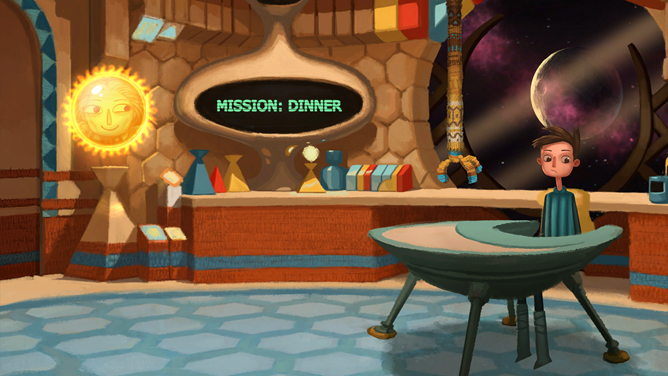 Unlike most heavily-structured adventure games, the player is free to switch between both protagonists at any time, exploring their separate worlds and stories. The art in the game is fantastic - most of it is hand-painted - and the story includes voice acting from Elijah Wood, Masasa Moyo, Jack Black, Wil Wheaton, Pendleton Ward, and Jennifer "the only real Commander Shepard" Hale. As nice as it is to see that the developers at Double Fine remembered their promise to release an Android version, it does chafe somewhat that it's been published almost an entire year after the iOS version. Focusing on one platform at a time is understandable for a small developer, but this is a project that raised millions of dollars in crowdfunding - one of the original stretch goals was expanding the release to mobile platforms. At least Android gamers aren't the only ones who had to wait: the PlayStation 4 and PlayStation Vita are getting the game today. 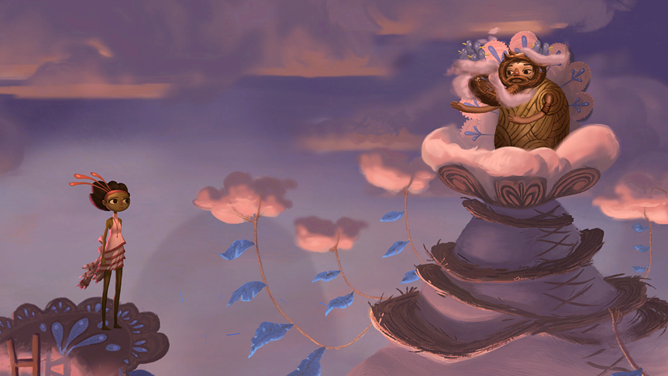 Broken Age includes in-app purchases, but none of them seem to be active at the moment. I'm guessing that the second half of the two-part story, recently released on the PC, will be enabled via in-app purchase at some point. Update: Commenters say that this version of the game includes both episodes, but I still can't find a reason for the in-app purchase tag on the Play Store - it's possible that you can't buy the second half of the game without finishing the first half. 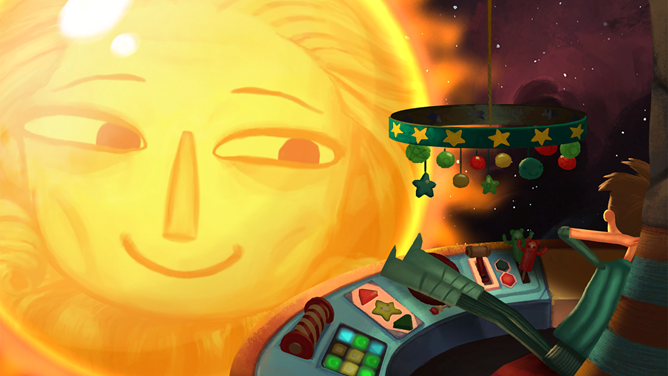 A Double Fine employee reached out to us for some clarification: this edition includes both Act 1 and Act 2 of Broken Age. There are no in-app purchases - apparently a mistake was made when the game was initially published. Compared to the Steam price, it's a real bargain.